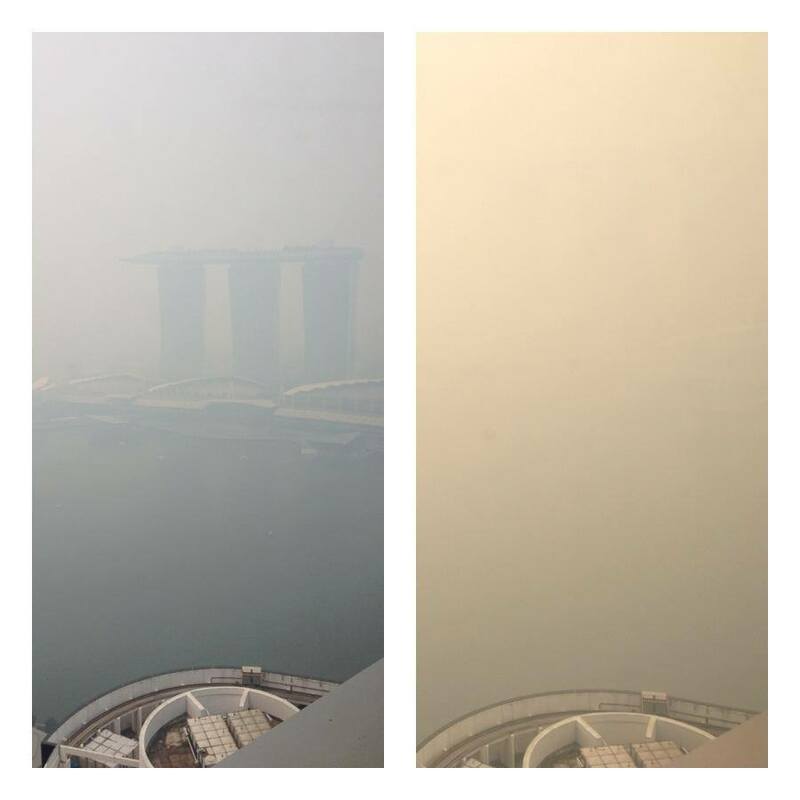 Expat Kiwis: Singapore Haze - What a difference two days make! These two pictures have been taken from the same location. The picture on the left was taken on Wednesday 19 June and the photo on the right was taken today (Friday 21 June 2013).